NOVEMBER 29--A prominent New York lawyer has agreed to forfeit $100,000 paid to him by a convicted drug trafficker, money the attorney concedes was proceeds from criminal activity and for which 'no legal work was performed.' Lawyer Dominic Barbara, 62, agreed to disgorge the six-figure sum via five monthly payments of $20,000 to the United States Marshals Service, with the initial payment due this month, according to a forfeiture order filed yesterday in U.S. District Court in New York. Barbara received the $100,000--in cash--from John Nebel, a veteran drug trafficker who headed the so-called Cartoon Network, a large marijuana delivery service that was broken up in late-2005 by federal and state investigators. Nebel, 35, pleaded guilty last year to narcotics and money laundering charges and is awaiting sentencing. 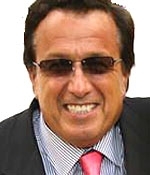 The Long Island-based Barbara has previously represented tabloid figures like Joey Buttafuoco and Jessica Hahn, and is probably best known for his recurring appearances on Howard Stern's radio show (where he is often referred to as 'the bloated attorney' and mocked for his garbled diction). The November 28 forfeiture order, an excerpt of which you'll find here, notes that the $100,000 was payment by Nebel for 'legal fees to Barbara for which no legal services were performed.' The court filing does not indicate why no legal work was done by Barbara, or what led the high-profile attorney to agree to hand over the money (some of which, two sources told TSG, was picked up in cash from Nebel by Barbara's son, who is also a lawyer). The elder Barbara, who has not represented Nebel in the federal narcotics case, has handled civil matters for the drug dealer, including a divorce action. Submitted by MemeSkye on Tue, 2010-09-14 17:45. Oh yeah I almost forgot Dominic is a self confessed percocet addict. Submitted by MemeSkye on Tue, 2010-09-14 17:44. This guy is the scumbag of all scumbag lawyers ever to practice law. he srteals money from the mouths of men, women and children and tries like hell to bed every vulnerable woman who enters his office. Of course only the stupidest of them will do an ugly ogre like him. I would rather follow Dennis Rodman, lol.